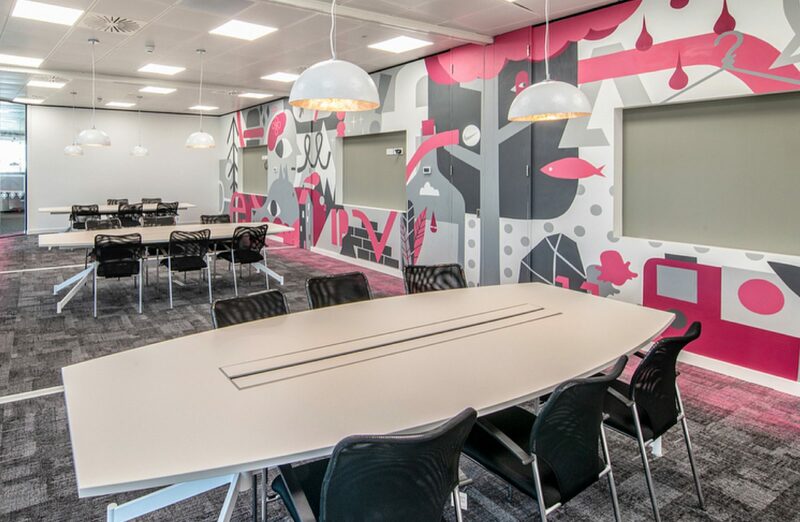 Whether you’re moving to new premises or updating your existing workplace, an office fit-out or refurbishment can be stressful and time consuming without careful planning. Are you fitting out or refurbishing because you’ve run out of space? Are you down-sizing, merging with another office, or simply updating your look? Whatever your reasons it’s important to think about your needs, both now and in the future – you don’t want to be going through the same process in 12 – 18 months because you under-estimated your needs this time. There will be many elements involved in planning and managing an office fit-out. Whilst it’s advisable to appoint a “Go To” Project Manager to oversee the overall project, he or she will need the support of a team to ensure that all relevant aspects can be considered and addressed within agreed timelines. Consider holding regular team briefings so that those colleagues not involved in the project team feel included. Don’t just tell them what’s happening – ask for their feedback, and where possible circulate an employee questionnaire so that their recommendations and / or concerns can be considered. Appointing an experienced fit-out partner to oversee the fit-out of your new office will save you time and money and ensure that your stress levels are kept to a minimum! A reputable company offering a full design and build service will take care of all aspects of the project. This removes the need to manage multiple contractors and gives you one point of contact.